Clavius is the 3rd largest crater on the earth-facing side of the moon (225 km in diameter), and was formed during the Nectarian period about 4 billion years ago. It is most famous for the arc of craterlets arrayed across its floor in counterclockwise order of descending size. Serge created this sketch on August 14, 2006, during a trip to Southern Italy. He observed the moon with his Strock 250, plotting finer details during brief moments of steadier seeing. 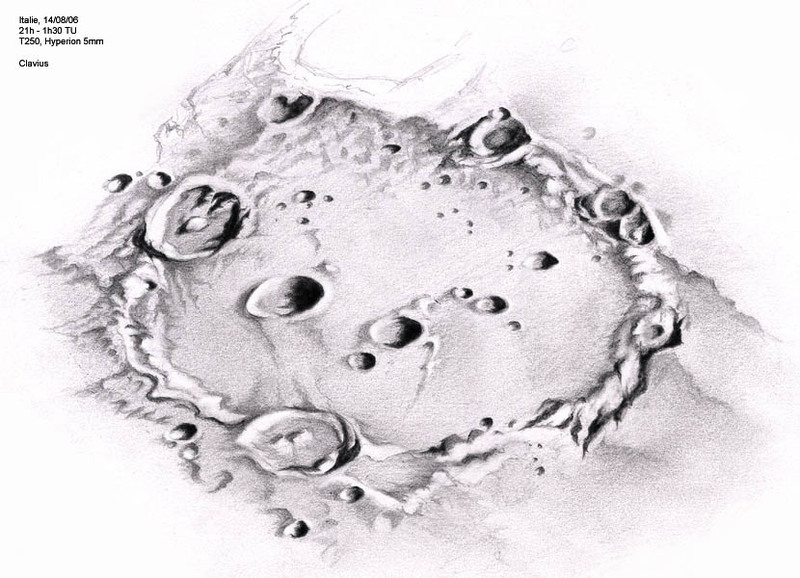 Fantastic sketch of a most wondrous target crater. Stunning.